Need a touch of color in your home or office? Looking for the perfect year-end gift? 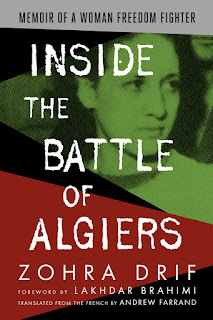 Just can't get enough Algeria in your life? Then you're in luck! 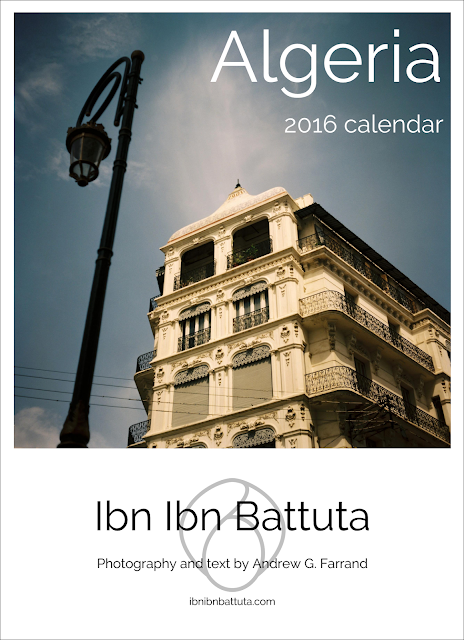 Ibn Ibn Battuta has just sold out to the man and produced his first merchandise: a 2016 Algeria wall calendar. 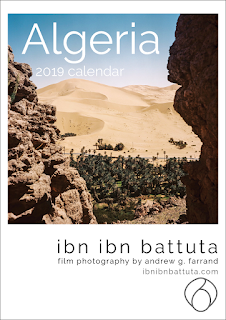 The calendar follows my own design, consistent with this site's, and features 12 lush, large-format images from across Algeria (including some that have already appeared on the blog and quite a few that have not). Like the other photos published on this blog in recent years, all images in the calendar were captured on Kodak film using my 1951 Rolleicord camera—a combination that produces uniquely vibrant images. I have printed 75 copies, and will number and sign each one by hand. They are available for sale here in Algiers only. 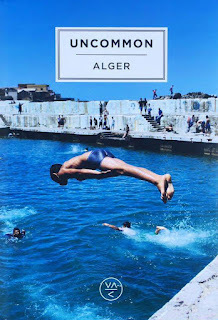 Order here: http://tiny.cc/algeria2016.